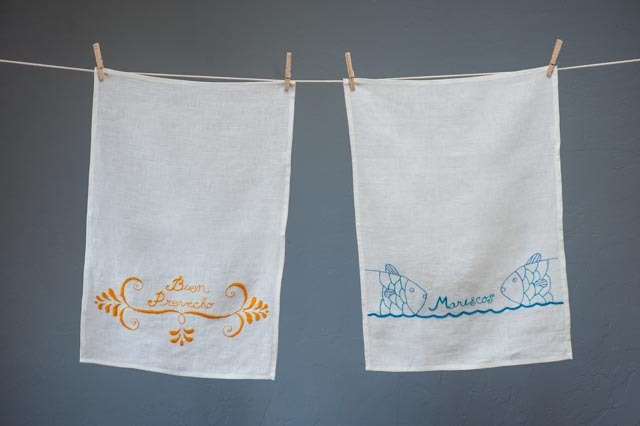 Our hand-embroidered linen tea towels and bar towels have a lot of personality besides being your best friend in the kitchen and bar. We have designed them to create joy and happiness just by looking at them. But they are also hard-working and can clean a counter top or wipe up spills. They are cut and hand-embroidered by the women in Sabanito Sur, Sonora, a remote village of Sierre Madre Occidental, Mexico. The embroiderers are artisans and their craft is part of their everyday lives. Most afternoons, after the daily chores, they can be found sitting with their hoops and needles embroidering flowers, birds, and sea creatures. 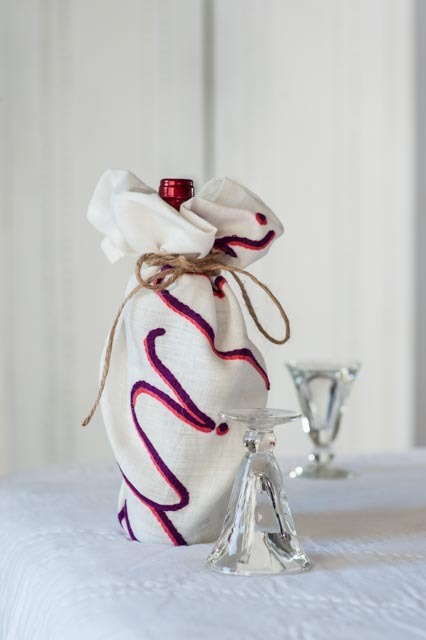 Sal del Mar has been in an exciting partnership with the embroiderers for over seven years. We are so proud that the women can stay at home with their children while earning money for their families from the sale of Sal del Mar products. We make them out of linen for the fabric’s beauty and for its sturdiness and absorbancy. You can machine wash them in cool to warm water and line dry or tumble dry on low heat. Or just stretch a towel out on the counter top and it will dry quickly. Iron for the crisp linen look or enjoy them with a natural look. We couldn’t resist putting together ways to use our new "line” of hand towels and bar towels. Each towel is a work of art. . . so use them as a piece to enhance any setting or gift.